Find and know our auto-parts. 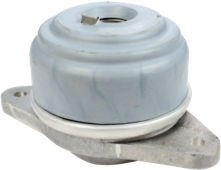 The engine mount connects the engine to the body frame and prevents the engine from rotating on its torque, securing the whole power plant in place. This also prevents the frame from vibrating and shaking as the engine generates power. 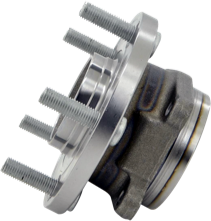 The wheel hub bearing unit is playing a vital role in your car’s performance, from the smoothness of the ride to fuel efficiency. A wheel hub bearing enables your wheels to turn freely and plays a crucial role in the safety and handling characteristics of your vehicle. It is made up of precision-manufactured bearings, seals, and sensors. 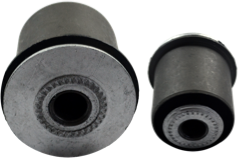 The bushing is the rubber part without the frame, since sometimes is not necessary to change the bracket. The pulley guides the belt and the chain. 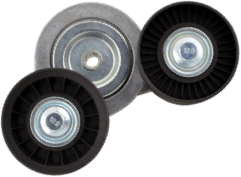 The automatic belt tensioner keeps the serpentine belt and timing chain tight and in position. 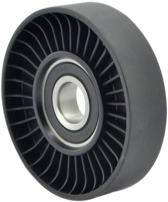 It’s fitted with a coil spring that applies the amount of force required, against the belt to keep it in position. It also provides some free movement to absorb shock loads generated by the A/C compressor during the immediate starting up of auxiliary components. The tensioner automatically compensates for these effects and keeps the belt under constant tension. The pulley guides the belt and the chain. 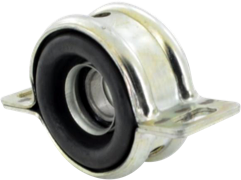 The Strut Mount is one of the most important part of a vehicles suspension system; it serves as a mounting junction for the top of vehicle strut assembly which connects to the chassis. A four-wheel independent motor has four strut mount, two in the front and two in the rear; while a front independent suspension will have only two strut mount. The driveshaft of a rear wheel or four-wheel drive vehicle supplies power from the transmission to the rear center gears and then to each rear tire and wheel. The connection between the two sections of the driveshaft is a center support bearing and it has a “U” shaped metal bracket with a solid-rubber machined bearing on the inside. 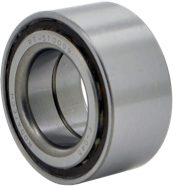 This bearing keeps both parts of the driveshaft compact to reduce harmonic vibration when the vehicle is accelerating. 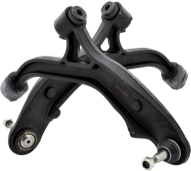 The control arm attaches the wheel to your vehicle’s frame. There is an upper and lower control arm in a vehicle. The two pieces form an A looking attachment that keeps the wheel and tire in sync with the body of the car. They not only attach the wheel and tire to the car. They control the upward and downward motion of the wheel in unison with the suspension system and road conditions.